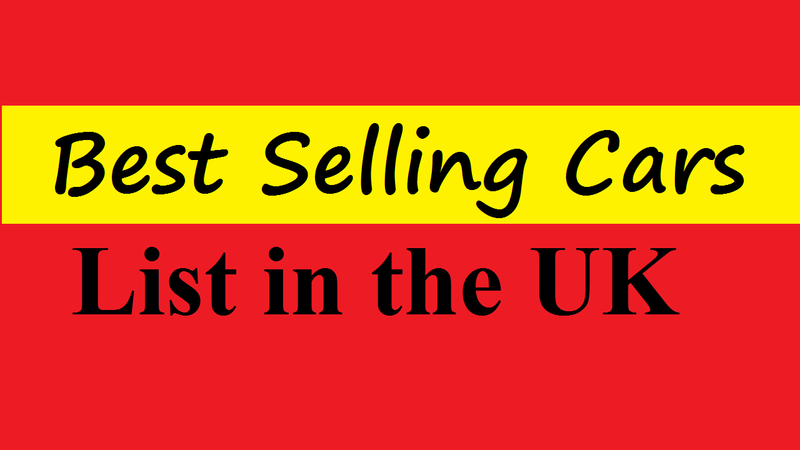 Are you looking for the list of best selling cars in the UK? We’re going to find out the details of top selling cars and their brands in this post. So, you’re in the right place because this content is all about the most popular car that you’re looking for. The sells are increased up to 5.7% and 0.5% respectively for the petrol and Alternative Fueled Vehicles (AFV) because British buyers continued to turn towards these twos. This year’s sells of AFVs are 36,693 so far, which is more than 3000 of last year. This is because the decline in demand for diesel cars continues to be of concern. But, there was nothing to encourage consumers to exchange their older diesel vehicles for new lower-emission models along with the latest tax changes announced by the government. The registrations of the new passengers’ vehicles in the UK are contracted by 12.4% to 718,489 cars. This is during the 2018’s first quarter. The figure is more than 100,000 than 2017’s first three months in Britain. Also, during the very important March month down by 16% when a contraction in the British new car market was largely expected with sales. The point that needs to note that although March 2018 marked the twelfth consecutive month of contraction, March 2017 was the strongest sales month ever in the UK. Besides, there are more months to go of 2018s. Moreover, the uncertainty over the future regulations regarding diesel cars makes the market of UK’s car was clearly slowed down. As a result, the market share of diesel cars slipped to only 33.5% from 44% at the start of 2017 during the first quarter of 2018. What are the Best Selling Cars in the UK? The best selling cars market is relatively high with the underlying factors in terms of consumer choice, finance availability and cost of ownership all highly competitive despite market hindered. But, there is a big knock in recent months by the consumers and business confidences. Now, let’s know what the best selling cars are in the UK along with the top ten cars brands. It’s now into its eighth generation and better than ever that the Ford Fiesta has been Britain’s favorite car for 40 years. The car comes with the best in its class along with lovely interior and more space than before. Its 1.0-litre engine that powers the majority of models is fantastic and it retains its fun-to-drive demeanor. What more you’ll get with it, including a wide range of trims. These include faux-SUV, the posh new-to-Fiesta Vignale model, and there’s an ST hot hatchback on the way. Besides, it boasts with plenty of equipment like the speed-limiting MyKey and lane-departure warning. As a result, this is one of the best selling cars in the UK. Volkswagen Golf hatchback deserves to be popular in the upmarket. Whether you’re parked at the local football club or a posh country club, few models have such a classy image, meaning they fit right in. Although most choose a three or five-door hatchback, estate and convertible models are available. Moreover, the performance models like the Golf GTI and Golf R that are capable of delivering sports-car thrills and there are versions that’ll return almost 81mpg. Also, you’ll find it well built, comfortable, safe and fun to drive. The Golf range is well equipped, whichever Golf you choose. Besides, there are DAB digital radio and a dashboard-mounted touchscreen are all standard along with AC, Bluetooth etc. The Nissan Qashqai is such a popular choice because it’s perhaps unsurprising. Since it arrived on the scene around a decade ago, the Qashqai has been nothing short of a phenomenon. The current version is the best-driving and the most economical so far. This is because its popularity is helped by the generous deals frequently offered by Nissan dealer where families will find its interior spacious and durable. This has approachable nature that makes it easy to see why because the Vauxhall Corsa is a frequent resident of the best-sellers list. The car deserves one of the most popular first new-car choices this year. Also, it has the affordable models like the Corsa Swing, which is led to the appearance of appealingly styled. Moreover, the other key to attracting young drivers is the free insurance availability. The Ford Focus continues to maintain a strong following among UK family car buyers, despite its age. Moreover, it looks more upmarket than before because the current version features more eye-catching styling. Because the Focus is as good to drive as it ever was, no changes were needed under the metal. As the Ford Focus, the Ford Kuga is a medium-sized SUV based on the same underpinnings. It means that Kuga handles better than you’d expect ever from it. So, thanks to modern turbocharged petrol and diesel engines because it’s efficient. But, we think the 2.0-litre diesel is even better for all-around versatility. Besides, there is the recent facelift has helped keep the Kuga fresh despite its age. The MINI Hatchback could be perfect if you want your small car to have the brand appeal, equipment, and performance of a much larger model. While still offering sharp and playful handling, the MINI is more refined and comfortable than ever. If you plan on carrying passengers more often you can always upgrade to the five-door model. The A-Class is an important car in that respect because Mercedes is keen to attract younger buyers to the brand. The A-Class hatchback is the cheapest entry point to Mercedes ownership when it’s rivaling the Audi A3, BMW 1 Series, and Volkswagen Golf. Besides, it comes with the 108bhp 1.5-litre A180d, which claims the official economy of 80.7mpg. Moreover, the A-Class holds its own against the A3 and feels well built while not as good to drive as the 1 Series. The Kia Sportage should appeal thanks to its seven-year warranty, which is the longest in the industry if you plan on keeping your SUV for a while. And the 1.7-litre diesel engine is also economical, returning around 61mpg is keeping with the sensible reasons. With a five-star Euro NCAP score proving its safety credentials, it finished in 12th place out of 75 models. When designing the latest C-Class compact executive saloon, Mercedes pulled out all the stops. The new model continues in the same vein while adding a more comfortable ride and sophisticated, demure styling to the mix where the previous car had reintroduced drivers to the idea of a Mercedes that was fun to drive. Also, with agility selected allowing you to personalize how the car responds; the technology is impressive as well. These made it one of the most selling cars in the UK.